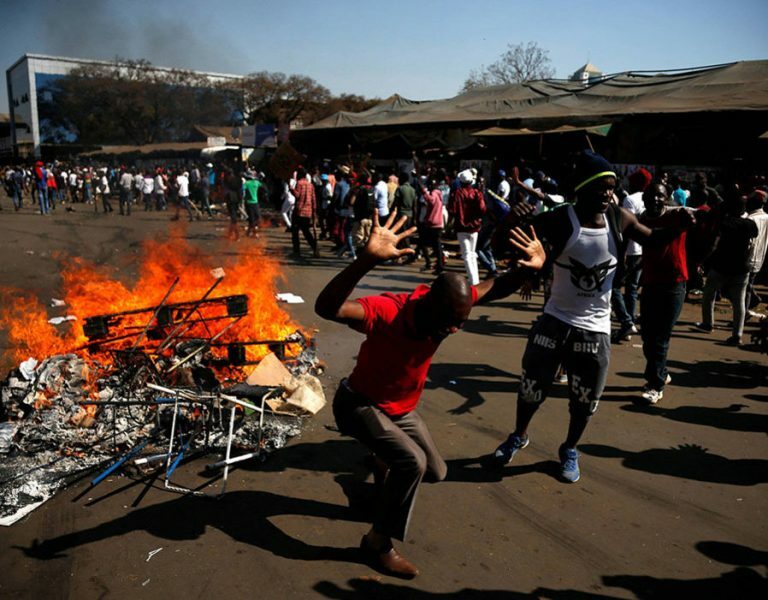 Witnesses assert the death toll in post-election violence in Zimbabwe has risen to at least six people following clashes between protesters and Zimbabwe security forces. Members of the opposition Movement for Democratic Change (MDC), angered at what they say are rigged election results, and Zimbabwean soldiers and police clashed in Harare. NewsDay reported the city centre that resembled a war zone, with soldiers driving in their armoured vehicles and indiscriminately firing live ammunition at anyone they found in the central business district, with several passersby caught in the crossfire. While police have confirmed that three people died, witnesses claimed at least six people were shot dead. The military was also reported to have opened fire at the residential home of MDC Zengeza West member of parliament Job Sikhale following skirmishes in the capital. “Gunshots at my house as I speak. My family is scared, but am reassuring them I’m prepared to die,” Sikhala posted on his blog.